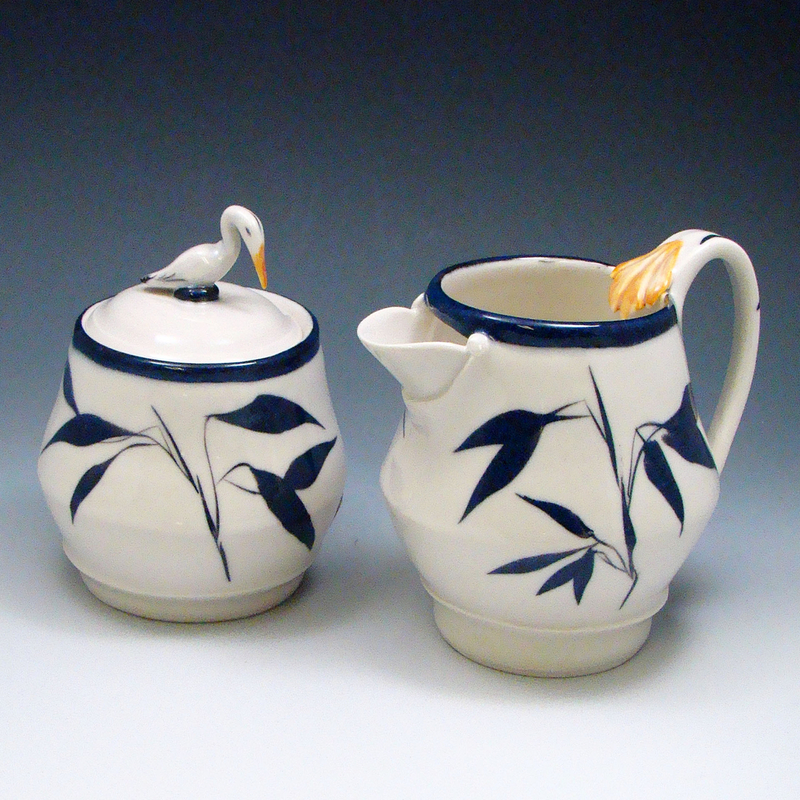 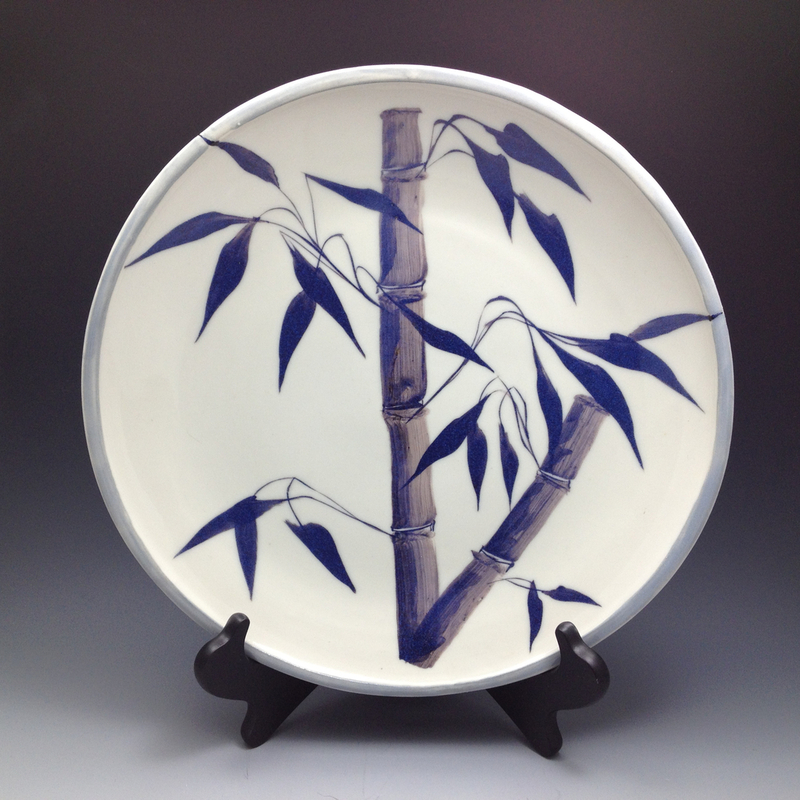 Cynthia Shevelew has been a studio potter in Northern NJ since 2000. 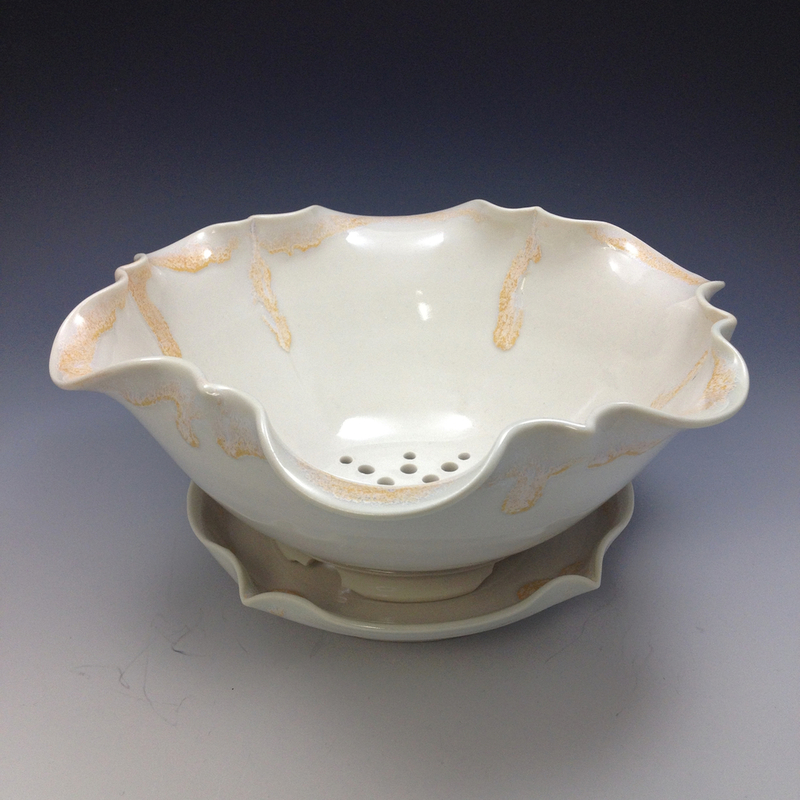 Working in porcelain, she strives for an elegant or refined appearance and is influenced by the quiet beauty of Chinese Song Dynasty pottery and the 18th Century highly decorated Japanese Arita porcelains. 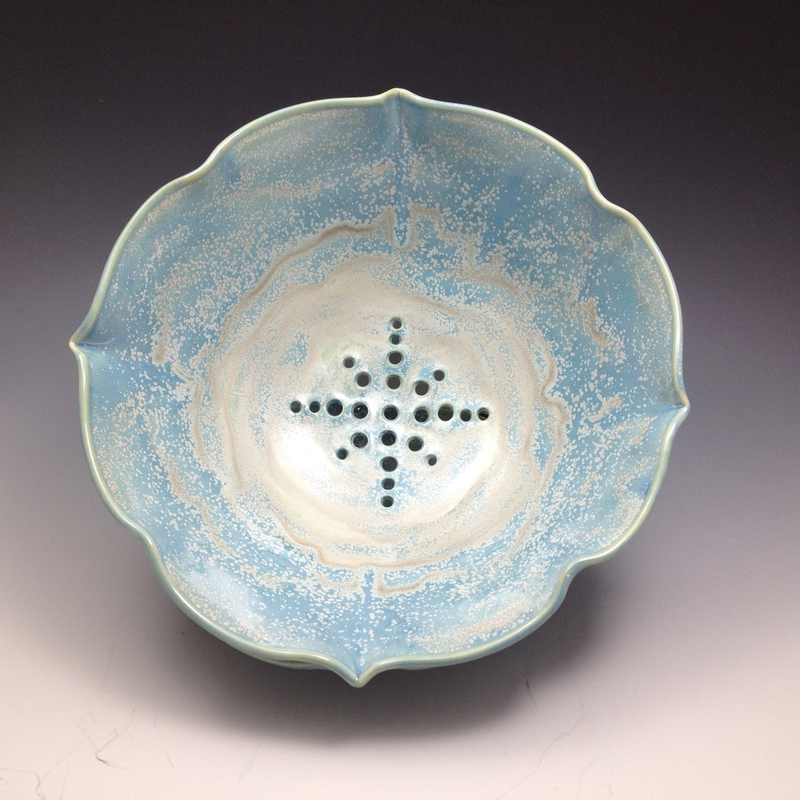 Her one-of-a-kind pieces comprise a body of work that reflects her inner dialogue of form vs. function. 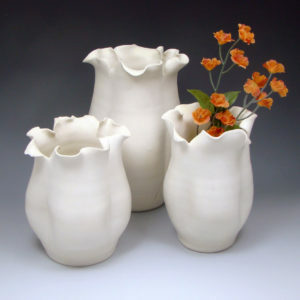 The work she produces is functional and wheel thrown using carving, trimming, altering or brush decoration to add her voice to each piece. Introduced to clay and the process of ceramics while studying at the City University of NY, she apprenticed with Artist/Potter Natalie Surving, participating in the production of functionally sculptural pieces. 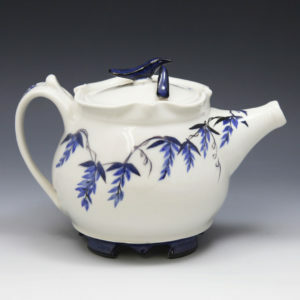 Her work has been exhibited and sold from Maine to California and her article published in Studio Potter Magazine, Vol. 39 No. 2. Cynthia is Treasurer emeritus and currently Membership Manager of the Potters Guild of NJ, where she is part of a supportive community of potters.